You can host your project in Visualstudio.com and still run selenium tests in the build. The hosted build controller does not support it (details) and cannot be adjusted. 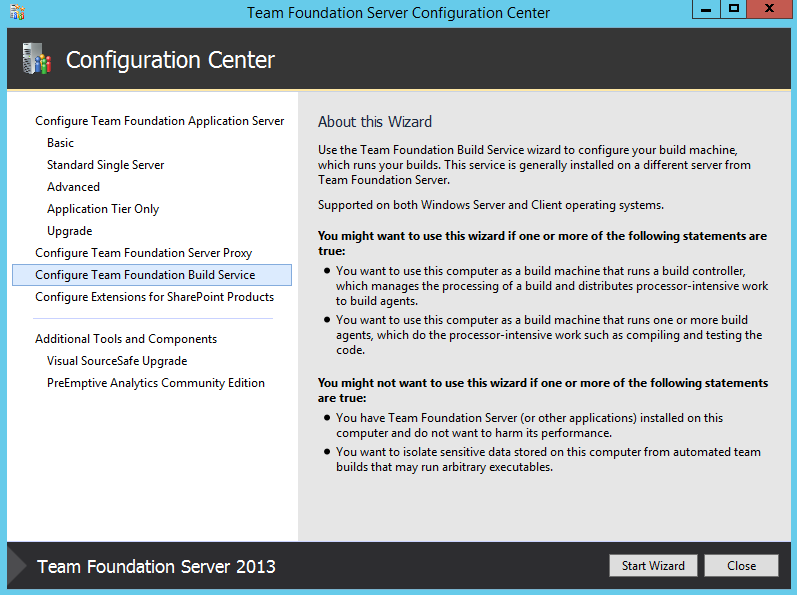 Why not create your own Build Controller in Azure VM? Here is how I did it. I’ve created a Microsoft Windows 2012R2 server VM and remote desktop into it. 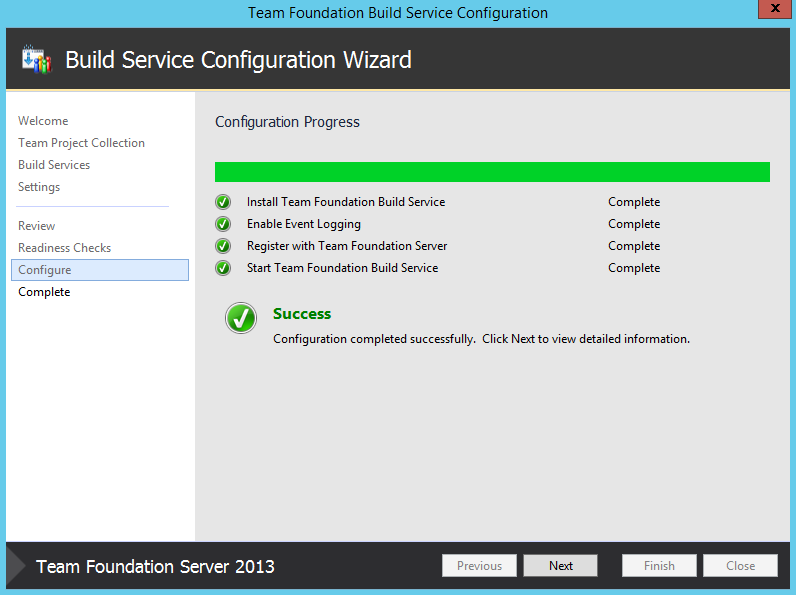 Install Team Foundation Server and configure the Build Controller. Connect the Build Controller to visualstudio.com. Use the Browse button and connect to “your” visualstudio.com server. I left the rest on default and let the configuration complete. 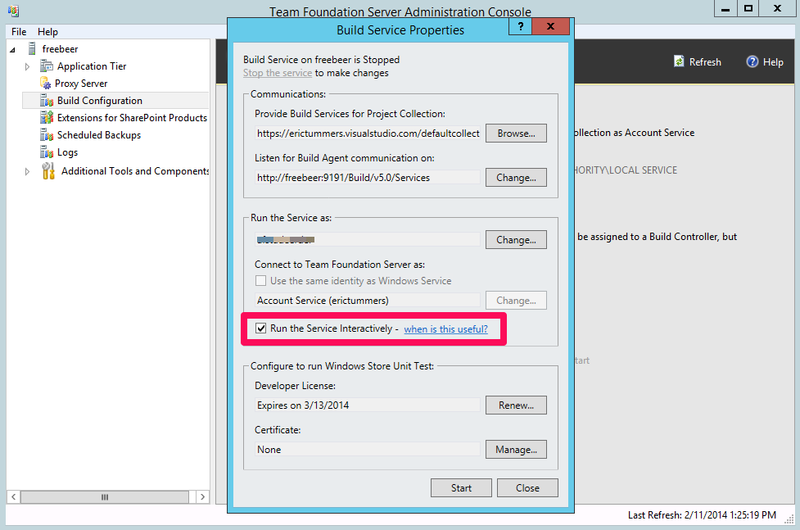 In the Team Foundation Server Administration Console > Build Configuration: check the Run the Service Interactively and use the Remote Desktop account for Run the service as. Install Visual Studio 2013. This is on the hosted build controller also. Now you can select this new Build Controller in build definitions in visualstudio.com. I’ve run into some problems before I got my SeleniumDemo to work. TF900547: The directory containing the assemblies for the Visual Studio Test Runner is not valid ‘C:\Program Files (x86)\Common7\IDE\CommonExtensions\Microsoft\TestWindow’. ➡ Solution is to install Visual Studio 2013. 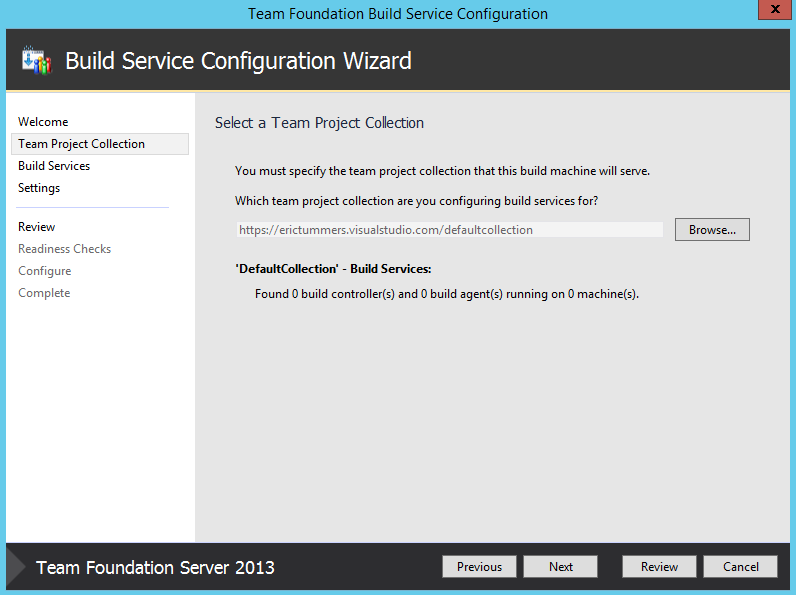 This entry was posted in Development and tagged azure vm, build controller, hosted build controller, selenium, team foundation server, visualstudio.com, Windows Azure. Bookmark the permalink.